So I didn’t have the best day at work today (or yesterday). To combat the havoc that it is wreaking on my self-esteem, I’m going to do a little reminiscent re-cap of the weekend, and put the blahs of Monday and Tuesday behind me. The past weekend was great for local events in Peterborough, and I was lucky to have gotten the chance to take some of them in. There were festivals of all kinds: literary, music, food; there was live music, theatre, and markets; there was sunshine. I started off my weekend at the 12th Annual RibFest at Millennium Park. For some reason, I never get ribs at these things. Why? I have no idea. I love ribs! 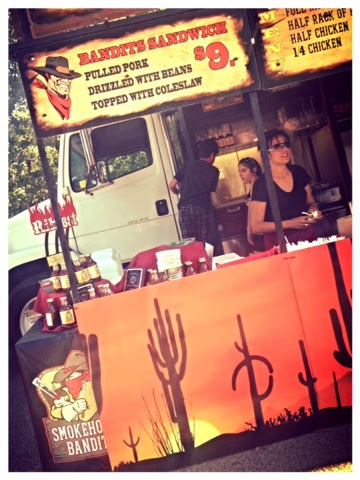 But instead, I opted for a Bandit Sandwich from Smokehouse Bandits, one of the carnie-style barbecue teams “that roll into Peterborough and ruin our local economy” or whatever the argument is. Oh, Peterborough drama. I digress. I ate a delicious pulled pork sandwich, with baked bean and coleslaw rounding out the mountain of taste-bud satisfying, calorie- and fat-laden goodness. And I enjoyed every. single. bite. After Rib Fest, we headed down to Le Petit Bar, for their inaugural Friday Punch Bowl Night. As loyal LPB patrons, it was an honour to be served the first one! A Rosemary Bourbon Spritz with a grapefruit and rosemary ice ring, rosemary infused Aperol, bourbon, sparkling wine and honey syrup, all in a legit crystal punch bowl. You cannot go wrong with that! After the final drops of the punch were gone, along with my punch bowl sharing friends, my friend Terran came by for a drink. I was thankful that he stopped in Peterborough on his way North from Toronto. It was so great to see him, indulge in a couple more cocktails (Rosemary-Citrus Spritzer… with gin), and cap off the night with a slice from The Night Kitchen. On Saturday, I bought more than half a dozen balls yarn to start a knitting project for my mum. Lucky for me, they were on sale for only $0.99 each at Michael’s. 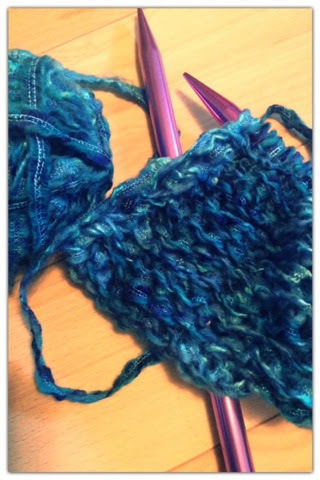 Perfect weight, beautiful colour, and hopefully a wonderful finished product… I just have to get to work! 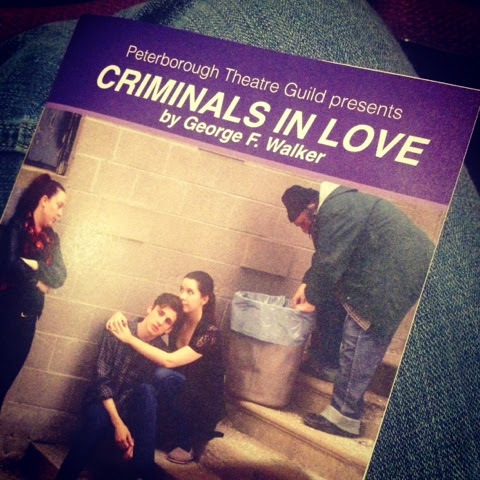 I also went to the opening night of “Criminals in Love” at the Peterborough Theatre Guild . Sean was proud of me because I was given two free tickets and couldn’t find anyone to come with me. Naturally, my first reaction would be to not go. But instead, I decided to check it out on my own. I’m so glad that I did. It was a great production, and that talent, especially that of John Lunman, was top-notch. Afterwards, I went to the Olde Stone to meet up for a Pet Rock Radio pub night, even though Sean was working and I wasn’t sure if he was going to join me or not. Man, I was feeling like an independent woman! Sunday was a relaxing day. I spent some time on Photo Shop to make a poster for Sean’s upcoming stand-up comedy show at Mark’s Finer Diner. Once that was done, it was wine and hammock time.. the perfect way to end a weekend! I guess it’s not just the past that I can think about to make me happy. I also have some very exciting news: WE’RE GOING TO CUBA! It’s booked, paid for, and now all I have left to do is eat rice cakes (dammit). Less than two months to go… I’m counting down the days. While researching the area, I came across Toronto-based blogger, Jessica Blaine Smith (@jbsmith) who wrote a post on Life Awesome Blog about the resort that we’re staying at and it looks perfect! We decided to book a few extra excursions while we are there, including a day-long Catamaran Cruise, and a two-day trip to Trinidad and Guanayara Natural Park in Topes de Collantes. What do you do to shake off a bad day? Do you think about good memories? Future plans? Do you have a bubble bath? Or eat all the ice cream?